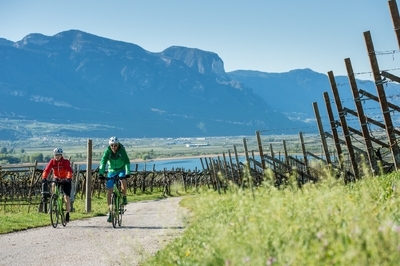 Splendid valley cycling paths, pleasurable routes through South Tyrol's beautiful wine landscapes, and traditional villages: Pleasure cyclists really love South Tyrol! 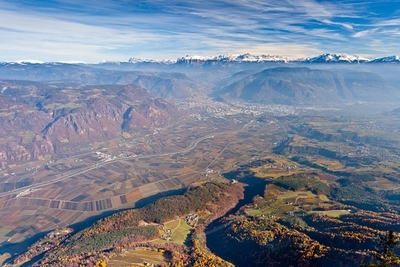 The sunny side of the Alps offers a vast selection of sign-posted cycling trails for your e-bike and pleasure holidays. 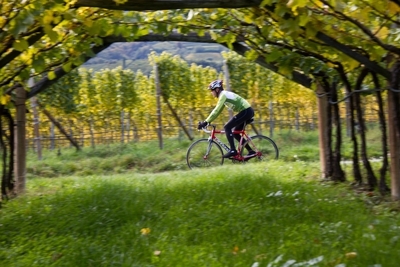 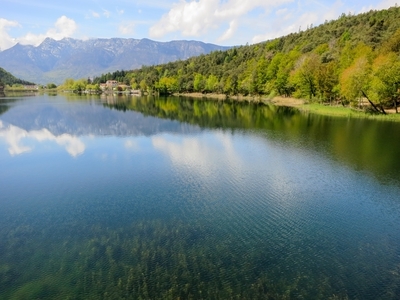 Trails, which lead cyclists through the most beautiful landscapes in Val Venosta, in Merano & environs, in Bolzano & environs, in Valle Isarco, and in the Dolomites. 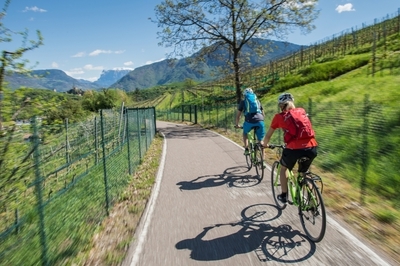 For extended cycling tours we recommend the offer of South Tyrol Bike: In almost every train station along the Val Venosta, Valle Isarco and Val Pusteria cycling trails, you can rent a trekking bike, cycle for a while, and return the bike at any train station with a bike station. 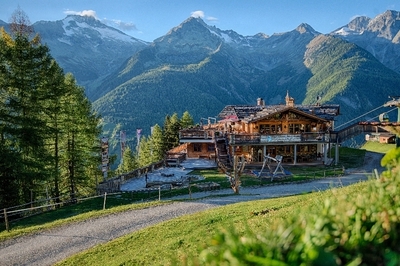 There are of course also e-bikes for rental. 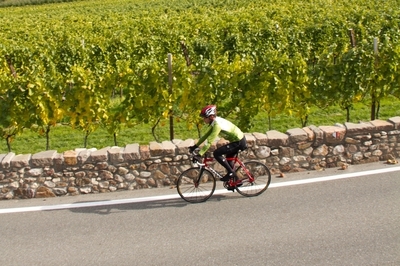 Cycle high in South Tyrol!